Andy Rubin recently launched Essential, a MOBITECH start-up company that would surely break into the mobile gadgets market if proper funding is available. The android creator who was with Google until he left in 2014 had been able to rake up $300 million dollars for the startup. Essential has been valued close to over 1 billion dollars all thanks to Equidate who carried out the analysis. Andy Rubin’s Essential filed and submitted all necessary documents on the new mobile tech startup just last month. Andy Rubin in May unveiled the firm’s first products: An echo-like gadget for home use and a sophisticated smart phone that runs on android Os. Though investors financing the project are yet to be known it is evident it will be a success owing to the precedence of Rubin who is a co-founder. Essential was created from Playground Global, Andy Rubin’s tech start up he formed immediately he left Google in 2014. We all know Rubin has over 10 years experience in the mobile technology industry and was in charge of Android at Google. According to Equidate, the new financing round created a separate class of shares with more voting rights, suggesting Playground Global has almost total control over Essential. Rubin is now faced with a task to fend-off competition from the likes of Samsung, Oppo, I-phone, Infinix and other top mobile phone producers. At the unveiling of the mobile phone which costs $699, essential also unveiled an internet connected speaker for home use with a screen. The Home speaker runs a new operating system built by the company. 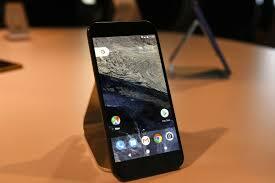 With This, Andy Rubin is surely back into the mobile phone industry for good. Cool, But i think $699 for start is expensive..